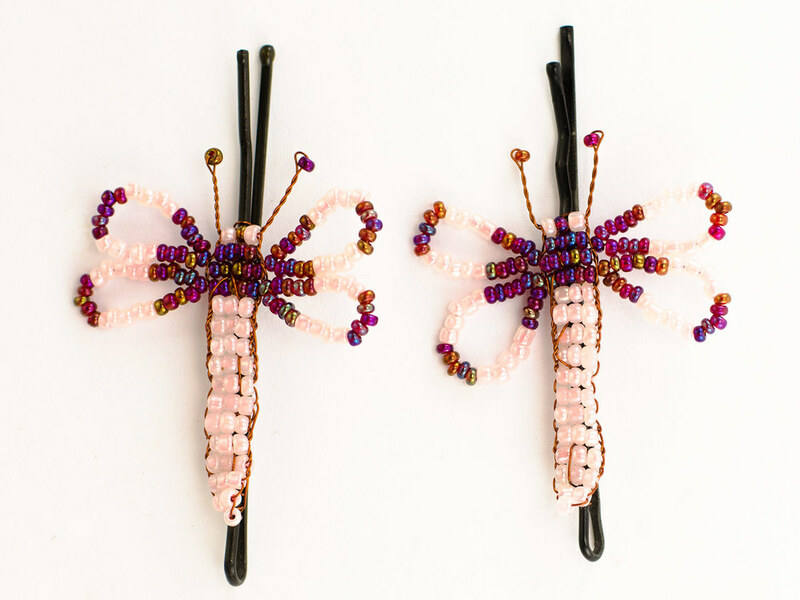 Our beaded hairclips are made by talented Zulu beaders who craft their skills to create bees, butterflies, cats, hearts, fish and butterflies out of glass beads and fine copper wire. These little creatures are then stitched onto a pair of hairgrips to create a special handmade African hair accessory. They come in various types and colour combinations.